Full of bugs , weed growing like a jungle , air didn’t work . One step away from being a condemned. I have sleep in many hotels over the years this was close to the worse !! While traveling for work in the past I’ve slept in hotels that cost two or three times what I paid here and not been as comfortable as I was here. There was absolutely nothing wrong with the room or the stay. That’s a big accomplishment. Room had a refrigerator and microwave. Decent free breakfast. Front door to stairs going to lobby, and backdoor directly to parking lot-- I've never had motel room with two doors, that's great! It is not what I expected. The rooms were outdated in fixtures and the free breakfast was fare less than other hotels for the same cost. Two different kinds of cereal, Juice, coffee, and banana. Other hotels serve eggs, bacon, waffles, bagels with cream cheese, and a couple types of bread and pastries Alone with what they offered. The front desk person was nice. It's a shame if this is their only income. Great overnight stay, very clean. Older hotel but well managed and great value. room was very quiet.bed was just right and sheets nice and clean.we were very comfortable but room could use updating like most hotel rooms.we all got a good nights rest and felt we would stay there again if in erie. It had HBO. Water pressure was good. Maid service was good. Management was friendly. This hotel is best for just staying the night on a long drive that involves I-90. It is right off the highway. It is not a destination, but it is a fine passing-through point. Do not expect luxurious accommodations: it is a perfectly adequate place to stop to sleep and then get back on the road. Red Carpet Inn North East This rating is a reflection of how the property compares to the industry standard when it comes to price, facilities and services available. It's based on a self-evaluation by the property. Use this rating to help choose your stay! 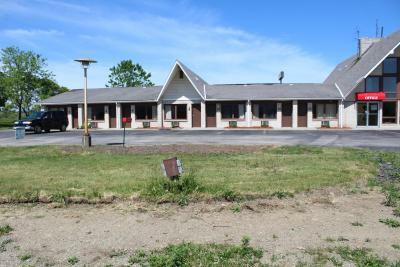 This North East, Pennsylvania motel is just 2 miles off of Interstate 90 and features free Wi-Fi access and a daily continental breakfast. Lake Eerie is 5 miles away. 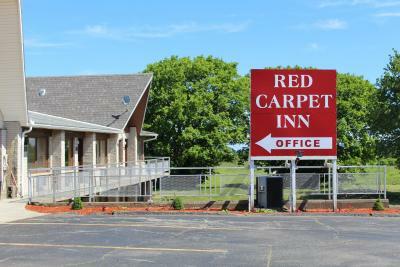 Each room at the Red Carpet Inn North East features cable TV and a private bathroom. They are decorated with light colors and wood furnishings. Guests at the North East Red Carpet Inn can relax in hotel lobby. Free parking is also available. 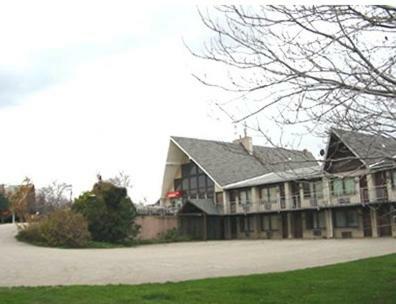 Heritage Wine Cellars is 2 miles from the motel. Peek 'n Peak skiing is 15 miles away, and Green Meadows Golf Course is a 10-minute drive away. When would you like to stay at Red Carpet Inn North East? 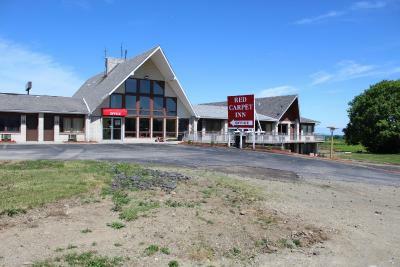 House Rules Red Carpet Inn North East takes special requests – add in the next step! 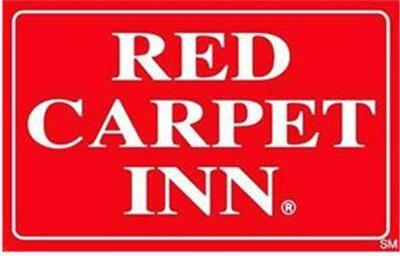 Red Carpet Inn North East accepts these cards and reserves the right to temporarily hold an amount prior to arrival. Not clean & had to put a chair in front of door for it to stay closed! The actual hotel was nothing like the photos on you site. If I had not been so tired we would have left the first night, we canceled our second night. Cob webs in the corners, sticky furniture. Door lock very hard to open especially for a handicapped person. Bed entirely too high for a handicapped person. ice machine out of order. bathroom needs an up date. Pretty much the entire experience. Bugs crawling all over the bed at night , carpet was filthy. I was shocked !! Everything was fine, the facility was recently purchased by new owners and they’re in the middle of renovations, wouldn’t be fair to ding them here. Regardless, there was nothing I didn’t like. Clean, comfortable, just bear in mind that it’s mid-renovation and the staff is working very hard to make your stay exceptional. The bed was bad.... Not to clean of a place. Need to do a lot work on them rooms. It is a good stopover for a wine tasting in the region. Breakfast bar was very sparce. The room and linens were clean and serviceable.